From article by Holly Case, Natural Food Network Newsletter Editor, Specialty Coffee Retailer. Leading indicators suggest that the recession may be nearing a close, but it has not yet caught up with consumers’ pocketbooks. Shoppers are still feeling the pinch of the recession, but according to Packaged Facts, one aspect in which they’re still willing to spend a little extra money is for products appealing to ethical concerns. This is especially important to us in the coffee marketing industry. The report found that recession had not dampened coffee sales and marketing in natural and organic, eco-friendly and green or humane and fair trade items. A third of adults were willing to pay more for organic goods, with a quarter frequently purchasing them. Ethical consumption has become such a priority with consumers that they were willing to pay more for products that matched their value systems. “With the economy foremost in consumers’ minds, heightened price sensitivity in the midst of the current recession is inevitably having an effect on the market for ethical products,” said Packaged Facts publisher, Don Montuori. Shoppers understand the environmental, social, and economic implications of their choices. The result is that a lot of consumers who will purchase typically more expensive ethical products even in economically challenging times.” In the past five years, consumption of ethical products has grown at a rate of about 10 percent each year, and is expected to continue to do so until 2014. Personal care products and non-food items will grow at a faster rate, even if they will represent a lower percentage of overall sales. Ethical standards have helped to create a dynamic buzz on the Internet regarding coffee consumption. 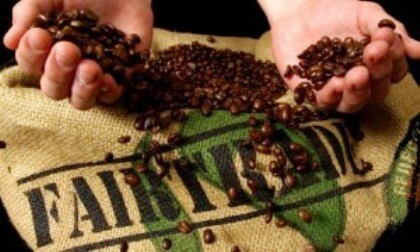 Highly-principled coffee marketing is creating a altruistic reputation of fair trade that is a good thing for humanity and for the coffee marketing industry. The most cost efficient mediums of coffee marketing is eMail marketing, social network marketing. Traditional forms of marketing such as advertising and trade shows should be used on a more strategic and limited bases.